For their Fellowship project, 2016-17 North Carolina Fellows Catherine Harris and Mas Sato ran a literacy program for families at a temporary homeless shelter and two literacy and GED programs in Durham. They held workshops to give parents and caregivers the knowledge and skills for engaging in home literacy activities with their families, with the goals of increasing family reading time and developing the literacy skills of the parents/caregivers and their children. In an unexpected—but not altogether unsurprising—twist, two participants who had been unemployed for many years found jobs after completing the program. While their employment can’t be wholly attributed to the Fellows’ program, their site mentor felt that Harris and Sato’s program helped increase the participants’ confidence in reading and parenting and suspects that it had a carryover effect that led them to be hired. Success takes many forms, as many Fellows learn over the course of their Fellowship experience. That said, Fellows are, in fact, required to demonstrate the effectiveness of their projects through measurable results. Our North Carolina chapter compiled the outcomes of its 2016-17 Fellowship projects and it reflects many tangible successes. You can see them all here—and read the rest of the Fellows’ reflections on their experiences, too. Haldis Andersen and Heather Newman provided over $20,000 of free dental care to 62 patients with acute needs! Alexandra Davis and Ljiljana Karan provided care and established a dental home for 52 pregnant moms through their Prenatal Oral Health Program (pOHP), they developed a standard operating procedure for treating and educating pregnant patients. Erica Afanador and Ivette Landrian reduced wait times for Spanish language interpreters at UNC’s student dental clinics from 40 minutes to less than 15 minutes, creating better access to care for Spanish speaking patients. Carli Antor and Jamie Molina developed and implemented individualized oral hygiene and occupational therapy protocols for 46 disabled adults in a residential program with 87% of patients benefitting from a measurable improvement in their oral health. In UNC med student Lauren Cox’s gestational diabetes health and wellness program, 10 of her 14 patients reported increased physical activity over baseline, tracked activity on blood glucose logs, and reported improvement in overall mood. UNC med student Herodes Guzman held 16 diabetes group visits and 15 insulin education clinics, providing $850-$1,910 worth of free diabetes education services to 60 patients. UNC med students Judd Heideman and Shimena Li engaged underserved Latino diabetes patients in a disease management program. They outfitted their seven participants with fitness trackers, and over the course of the program the average minimum walking time of participants increased from 45 to 120 minutes per week. UNC students Anna Kahkoska and Nicholas Brazeau implemented a successful shared medical appointments (SMA) program that was associated with an aggregate improvement in glycemic control (a statistically significant 0.5% reduction in HbA1c) over six months. NCCU social work student Karen White ran a program focused on helping patients maintain their sobriety and manage their diabetes. All 50 participants abstained from substance use; 40 of the 50 also showed improvement in managing their diabetes. Duke med students Kyle Freischlag and Vinay Choksi engaged 10 dementia patients in music therapy, improving their communication, mood, and cognition. 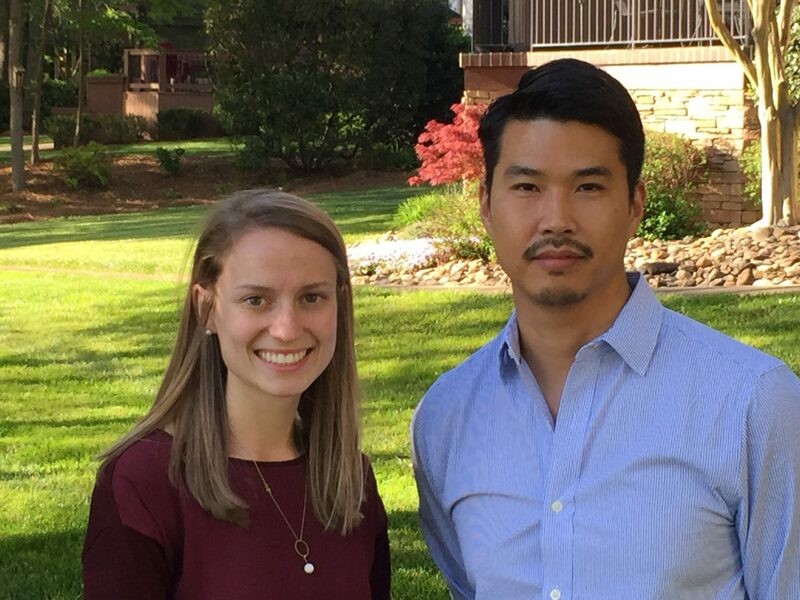 Duke med students Jin Han and Heather Burrell integrated their medical and mental health outpatient care coordination project into the Duke med school curriculum. 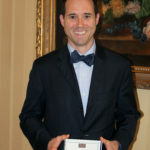 Brody med school students John Hurley and Leslie Hopper connected 36 veterans transitioning from service to civilian life to community based organizations to improve their health and well being. Brody med school students Anna Laughman and Emily Cunningham educated 75 farm workers to adopt pesticide prevention behaviors. Wake Forest med students Vaidehi Mujumdar and Rachel Shenkar engaged 30 10th graders in a cancer prevention program aimed at addressing the low rate of HPV vaccination in Forsyth County. Aiming to improve the wellness of adolescents in foster care, Wake Forest med students Shannon Schroeder and Shane Stone saw five out of seven of their participants completely abstain from or decrease their substance use over the course of the program.